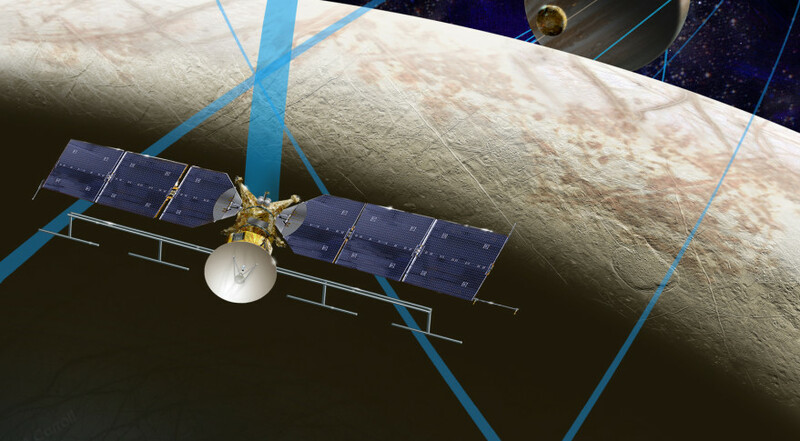 WASHINGTON — A House appropriations bill released May 17 would provide NASA with $19.5 billion in 2017, with significant increases in funding for the agency’s Orion and Space Launch System programs and a planned mission to Jupiter’s moon Europa. The bill calls for spending $2 billion for the SLS program and $1.35 billion for Orion. Those levels are well above NASA’s request of $1.31 billion for SLS and $1.12 billion for Orion, although the Senate’s bill provides even more — $2.15 billion — for SLS. The House bill also specified that, of the $5.6 billion allocated for NASA’s science programs, $260 million go towards a mission to Europa. NASA requested less than $50 million for the Europa mission, while the Senate’s bill did not specify an amount for that proposed mission. The additional Europa funding is not surprising, as Rep. John Culberson (R-Texas), chairman of the CJS subcommittee, has been a leading advocate for a Europa mission for several years, adding funding well above any NASA request for a spacecraft to help determine if the icy moon can support life. The bill also provides a change in direction for that mission. The 2016 omnibus spending bill directed NASA to fly the mission by 2022, and include both an orbiter and a lander, rather than only an orbiter. However, the draft 2017 bill allows NASA to delay the launch of the lander to 2024 while keeping the orbiter’s 2022 launch deadline. Culberson devoted a March 3 hearing of his appropriations subcommittee to exploration of Europa. At that hearing, Charles Elachi, the outgoing director of the Jet Propulsion Laboratory, said that the orbiter and lander would be developed separately, and if launched together on an SLS might not be able to reach Jupiter directly given their combined mass. He suggested that two could be launched separately, with the orbiter going first to scout sites for the lander. The bill contained few additional details about funding for NASA, which will likely be included in a report the committee will release after the subcommittee marks up the bill. NASA’s aeronautics, space technology and space operations accounts received cuts in the House bill compared to NASA’s request, but the bill does not discuss changes to specific programs in those areas. A separate House appropriations subcommittee is also scheduled to mark up a transportation and housing and urban development spending bill May 18. A draft of that bill, released May 17, includes $18.8 million for the Federal Aviation Administration’s Office of Commercial Space Transportation. That amount is $1 million below both the FAA’s budget request and the amount provided in the Senate’s version of that bill.